This entry was posted in layout design, prototype influence, St. Williams - Hammond Mill, structures by Trevor. Bookmark the permalink. Glad to see the pondering is still a pondering. Limitations of time and space are always hard choices to make. I keep pondering if I want to move from 1:29 to P:48 outdoors because it would allow more space. Since I have no knowledge of the prototype the track arrangement for me seems to work. Another possibility for replicating St.Williams more to the prototype could be to make a module of St. Williams much like your other modules you’ve built. This way you could have the prototype arrangement and space for buildings, but it would be separated from the main layout. However with a module it doesn’t really help operations at all with the main layout. As you’ve said, plenty of other projects to finish first. First, Trevor, I think that compromise is as big a part of the craft as is any other activity, without it we would get very little done. Having suffered from so many unfinished layouts I think the drive to reach an endpoint is critical. Now, if I may use this space to interject some thoughts about O scale outdoors, been there done that, although it was Ow5 using Atlas track which is rated as UV tolerant, one of my failed layouts and the reasons are many. I would be glad to chat at length with Craig about my experiences if he is interested. Looks like you’re going through a “could vs. should” analysis yourself! I really like how you evaluate & balance your givens & druthers – keeping your priorities in mind, and making sure you account for the cost of making any changes (and in this case, cost has everything to do with time & effort and not money). 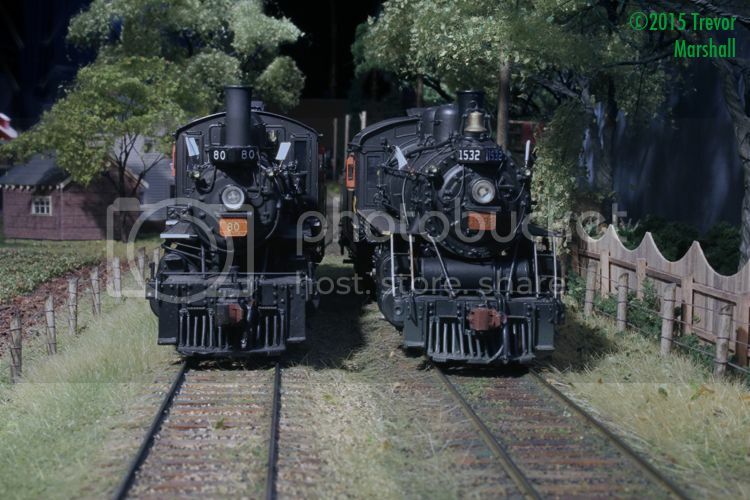 I expect that at some point, I’ll build the Hammond Mill and then decide how / whether to incorporate it into the layout. But as you’ve noted, Chris – the priority is to finish the current layout, as it is. Or, at least, “mostly” finish. Once I’m down to doing details and off-layout projects like rolling stock, I can give more serious thought to the rework of St. Williams. Until then, I’m not going to let it paralyze my progress. I like the way it is now, but the new plan is interesting too. What would go into the now empty coner on the new plan? Good question. Probably fields – possibly tobacco, including my three kilns. I would have to draw the plan more carefully to determine that. Interesting analysis of the pros and cons. I like the fact that you are not letting this pondering interfere with your progress and the fact that you aren’t letting your progress interfere with your pondering! That’s one (of many) thing I admire about one of the layouts I op on here in Salt Lake, he’s not afraid to rip things out and redo them if he thinks it will make things better. Actually, that’s true of both the railroads I op on, but the one I’m referring to has been around for 35 odd years, and it keeps getting better! Trevor, have you thought about making a small mockup of the proposed layout to see how it would work with the new geometry. I used this method once and it really helped me to see potentiel and shortcomings from a proposition. I perfectly understand your position, wanting the most prototypical scene possible without losing the balance and operability. Really not something easy to achieve. I think finishing other scenes first is an excellent plan. That said, something as minor as changing the turnout leading to the mill to facing point would capture the operational issues of the real branch better. You could keep the station orientation, slide it a bit further down the line and swap the team track to further “get there”. The result will not be perfect, but captures more of the effect without costing you your stone church road crossing. A few more details about Hammonds Mill. 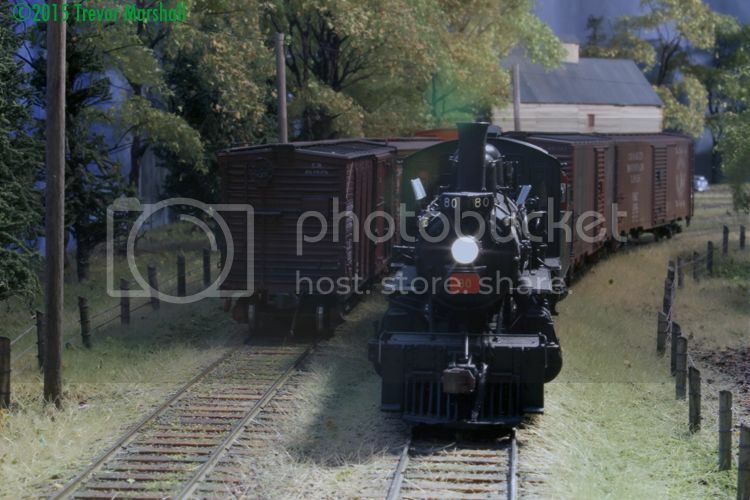 the picture shows the mill as black…it was originally black tarpaper. What you don’t see to your right is an 80′ block building which was built over the remains of the original St. Williams Preserves jam factory which never had a rail siding . This block building contained a basement all used for storage…As a child accompanying my dad to buy concentrate for our small chopper mill I remember it as a cool place on a hot summer day. The main mill consisted of grain storage upstairs and a basement below where there was an engine to power the milling operations connected by belts and drive shafts. It was the first place that I remember to have a Coke pop machine on the outdoor walkway…and yes Coke was 5 cents then. Outside In front of the Office was a commercial weigh scale built flush with the ground. 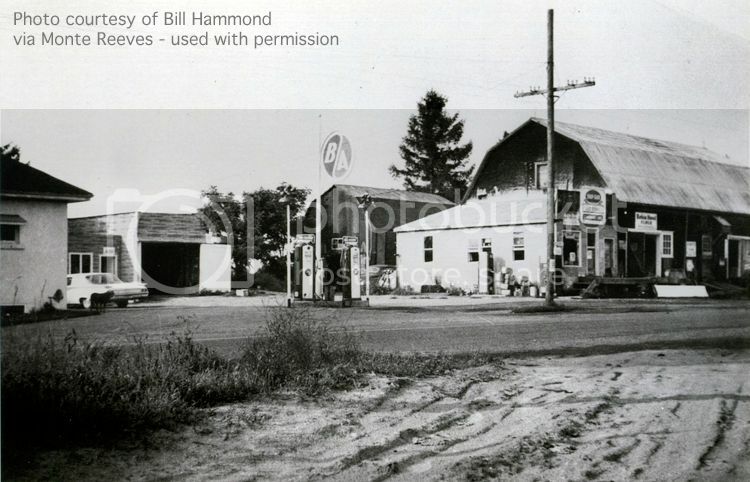 It was always a friendly place to go and local farmers would gather there and visit. It was open 6 days a week…closed on Sundays. Is there a way that the siding could be combined with the sector plate? 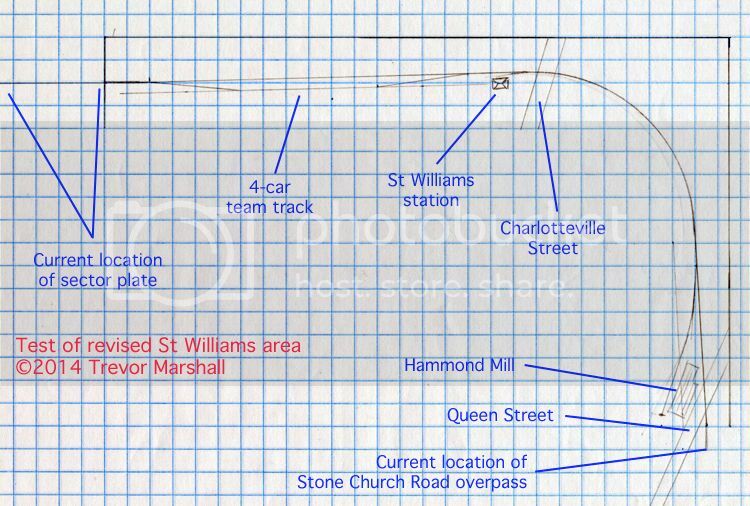 That way you might be able to preserve the Stone Church Road overpass where it is by “rotating” the plan counterclockwise past the station. I must admit I’m not really thinking about this issue. The layout runs fine and I’m pleased with how my scenery is progressing, so the fact that St. Williams isn’t as correct as it could be doesn’t bother me. As well, I have many things to keep me busy on the layout – including several major structures. So there are bigger priorities.